Windows 8 goes mobile: Another desktop environment says "hi" to the touchscreen world. 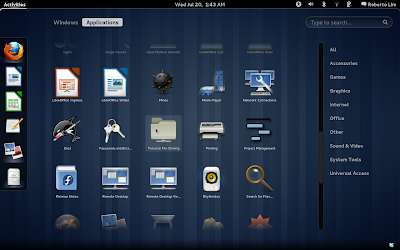 Another desktop environment says "hi" to the touchscreen world. I am pretty much an operating system agnostic. I am happy with the Mac OSX interface on my MacBook. If it has any real weakness, it is that is relies to much on fancy gestures, when a simple keyboard shortcut is more comfortable to use. Past two months I have spent most of my time on Fedora 15 and Ubuntu 11.10 Beta 1 Linux, both running the Gnome 3 Shell desktop environment. Gnome 3 is my favorite operating system desktop environment, it does not appear to be very popular. If Gnome 3 Shell ceases to be a viable option I have no problem switching to Ubuntu Linux and the Unity Desktop environment. The one operating system I have not used in over 9 months, is the most popular of all. Microsoft's Windows. I recently installed Windows 8, and like the Gnome 3 and Unity desktop environments, it has also migrated to a more graphical desktop which could be used for both devices that rely on finger manipulated touchscreens and physical keyboards. The old guard is not happy. When you talk of desktop environments, in Linux at least, you find scores of angry voices objecting to the new graphically oriented Gnome 3 Shell and Unity Desktops. Apparently it is the same on the Windows side. 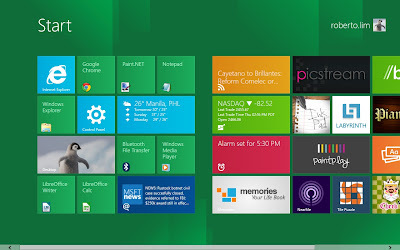 With the new touchscreen and keyboard friendly Windows 8, the sentiments seem to be the same. For many the preferred desktop for Linux was Gnome 2, which is actually rather similar to Window 98 or XP in form and function. 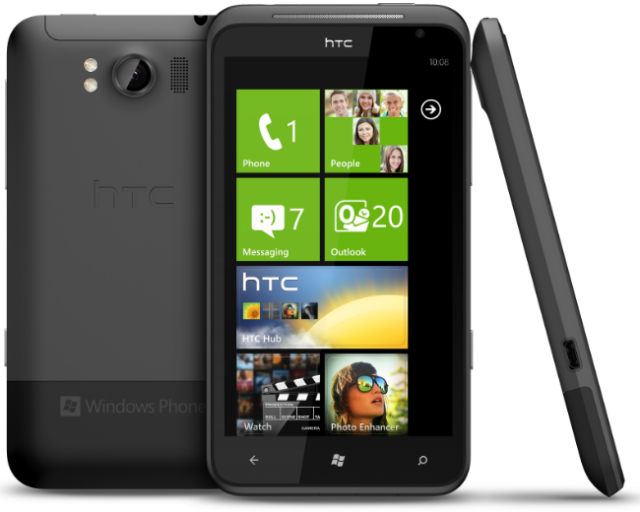 Windows 8 goes mobile. I have a strong suspicion that those who object to the new desktop environments spend most of their time on computers with large screens. You can manipulate font and icon sizes in Windows 7 for smaller screens, but in the end there is only so much you can do, and it really works better on larger screens. Install Windows 8 on a 14-inch or larger machine, and you will think it looks different. On small 10 to 11 inch laptops, Window 8 really shines. And I think this is the correct way to go. With internet having gone mobile and prices highly portable devices having dramatically gone down in the past few years, more and more computing will be done on "the road" with devices with smaller screens. At this point in time, how many people really want a large desktop sitting on a desk attached to a large screen, when you can plug any modern laptop directly to your giant LCD TV via HDMI? For the average Joe, having a interface on their phone, nearly identical to the one in their tablet and which looks almost the same as the one in their desktop would be preferable. If you are the kind of person who reads blogs like this, having one unified desktop environment may not seem that important to you. Why change what had worked well for so long? Canonical (Ubuntu), Gnome and Microsoft are going with one size fits all interfaces. This may not be too appealing to old hands who have been using computers for the better part of one or two decades and cut their teeth on a big bulky 14-inch desktop. The new interfaces target the new younger generation of users who will cut their teeth computing on a small 3-4 inch screen. It's a whole new world. Get used to it.